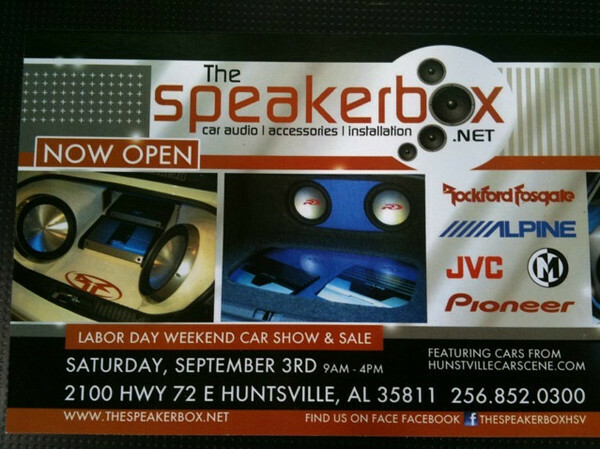 The Speakerbox is having it's GRAND OPENING meet on Saturday, Sept. 3rd form 9am-4pm! We have room for over 200 cars to fit comfortably! The Speakerbox is Huntsville's newest and most experienced mobile electronics store and we're starting off with a bang! There will be a radio station live on site as well as food and drinks! We'd like to welcome everyone and their friends out to see the new store and to have some fun with other car enthusiasts. This is not a car show, but rather a gathering of people with like minded interests. All makes, models, and years welcome! As the time approaches, more information will be added to this listing. Mark it on your calendars, because you won't wanna miss this one! The first every Speakerbox Super Meet has some very cool cars come by at their inaugural event. Several groups rolled in together filling every grassy area with a plethora of cars to look at. 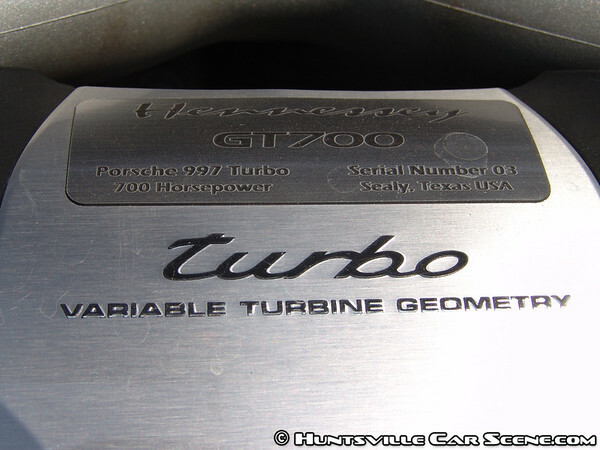 And there were some very unique, and exotic vehicles--everything from a Campagna v13r to a Hennessey GT700 Porsche twin-turbo. Jeannie was just walking around at the event when I had to ask her if she wanted to take some pictures with the cars. She was happy to do so, and did so with a lot of expertise. Her boyfriend has actually done professional modelling in New York and is helping her with her talent development. It was very cool working with them, and this event was just the beginning for the day--she came with me to the next event as well, and we created some more magical shots there too. I can't wait to work with her again. Thank you for the post. I've talked to the Evo and Z guys about this. I'll swing by at the first part of the morning. I have to head to Bham that day. You guys going to have any good deals going on? 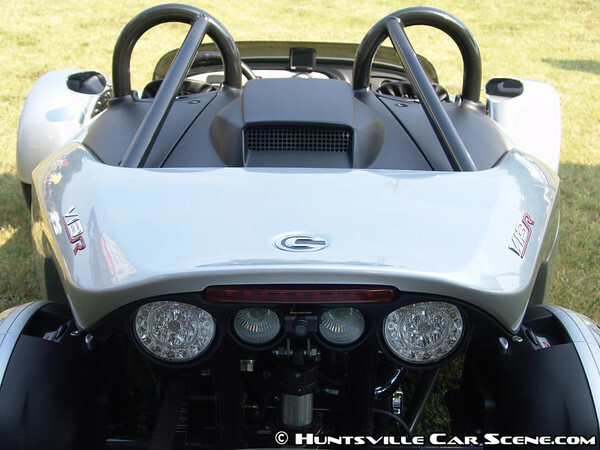 Come out and support your local Huntsville Car Scene sponsor! What cars are you bringing, Jeremy? I told Chris to get that R34 done for the show! Last edited by Beckham; August 3rd at 02:42 PM. That area, plus the area in front of the store and the 20 parking spots. EBLiquid Printing will be there showcasing some of their work as well! This location can EASILY accomodate over 120 cars. I think this is a great location for a yearly import meet between the Import Alliance Summer and Fall meets. 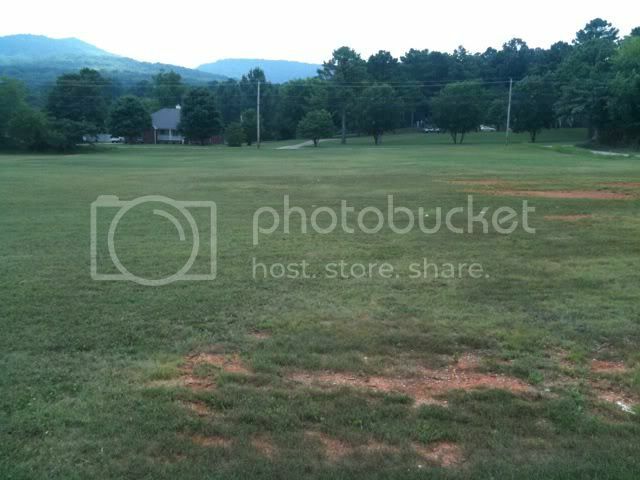 256.412.1314 is the best way to contact me. I guess if it's kool with you Beck we going to make this the official first meet of the Cobalts lol. Next we need to figure out if we actually want a club and then decide on a name . That's fine with us! We'd love to be the host of your first meet! We've also done a ton of audio work on Cobalt SS's. Yeah I need a double DIN navi put in mine . I need a heck-a-huk-up lol. You guys do fiberglass interior too? Sure do! Anything and everything custom! I've got my honda crew comming. there will be a good number of us there to show support and enjoy the day. Sweet! This is a great place to have an annual meet in between Import Alliance meets. Last edited by Samir; August 11th at 10:32 AM.